The Winter Scene in lieu of being too Christmasy. There are times when the images need to reflect a sensitivity to to the community where it is used. In this world of continued corporate expansion, we feel it is important to continue to add personal touches at this time of year to make a complimentary connection with the public. 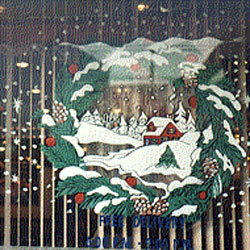 This can be done with a Winter Theme that does not overtly imply Christmas. 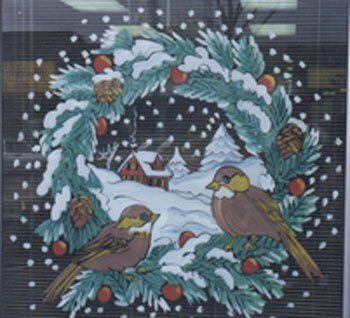 Such as the winter scene in wreath with birds.